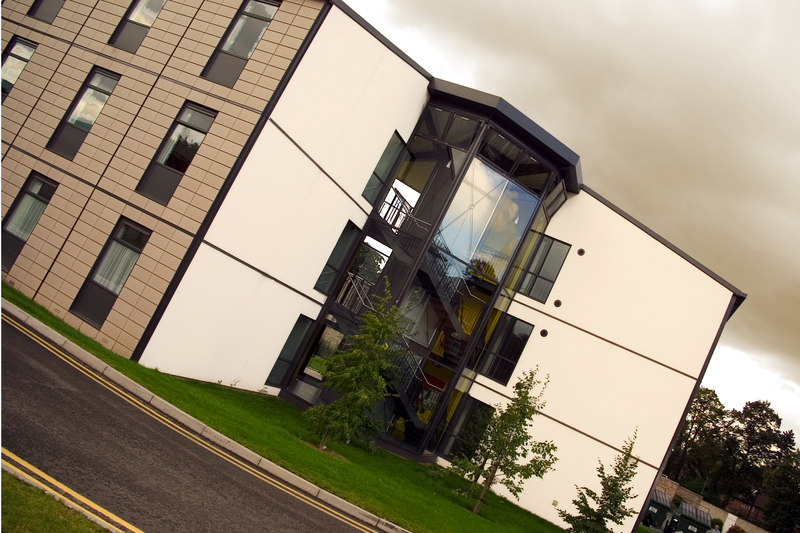 Working with Cartwright Pickard Architecture, the University had an urgent need for a further 92 student units. The client driver was to find a way to construct the units rapidly for a new student intake, but without any compromise to quality. Premier Modular was selected to tackle this scheme as a specialist modular contractor due to its willingness to be innovative and provide the highest quality accommodation though their highly experienced project management teams. Premier took the approach of constructing the blocks with a hybrid construction approach. 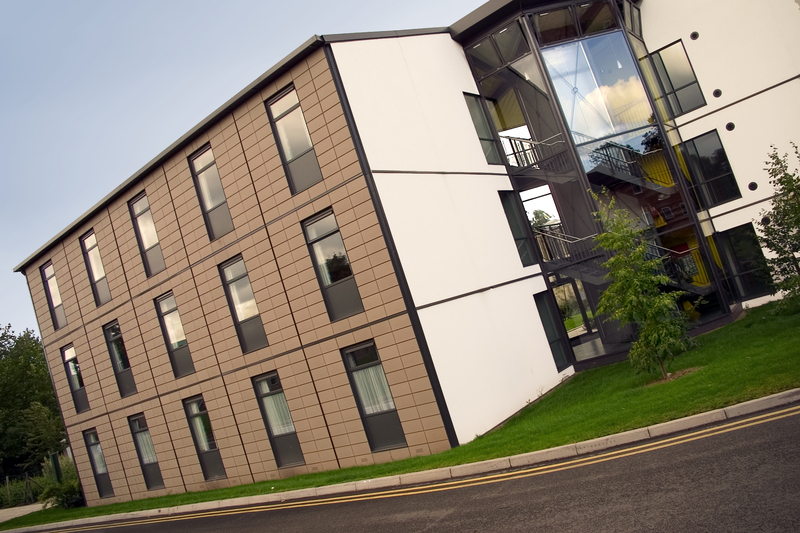 The room wings were fully completed offsite, including the en-suite bathrooms and external rainscreen cladding. The glazed stair core areas were constructed in situ by prefabricated steel frame concurrently with factory build of the wings. This innovative hybrid approach ensured both the programme and costs were minimised. The architecturally striking design provided two L-shaped blocks of residences (Cavendish Hall and Ancaster Hall). 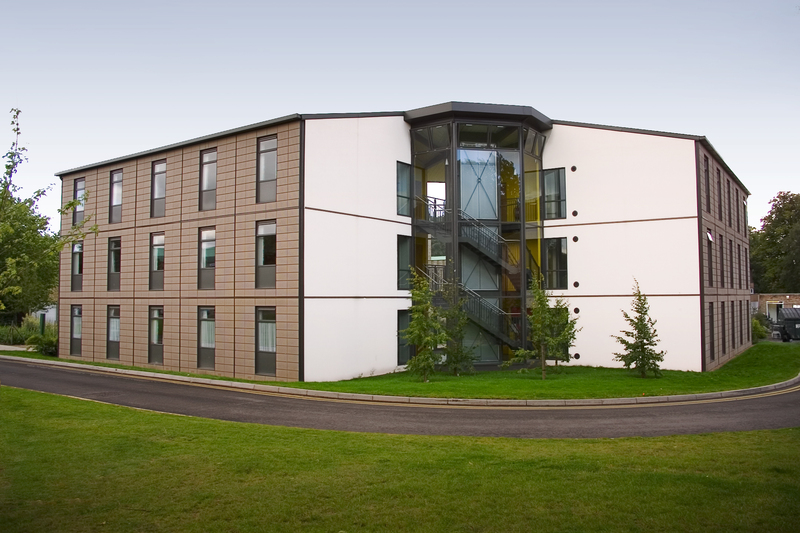 Both modular buildings are 3-storeys in height and include a specialised glazed central core, terracotta rainscreen cladding and composite roof. 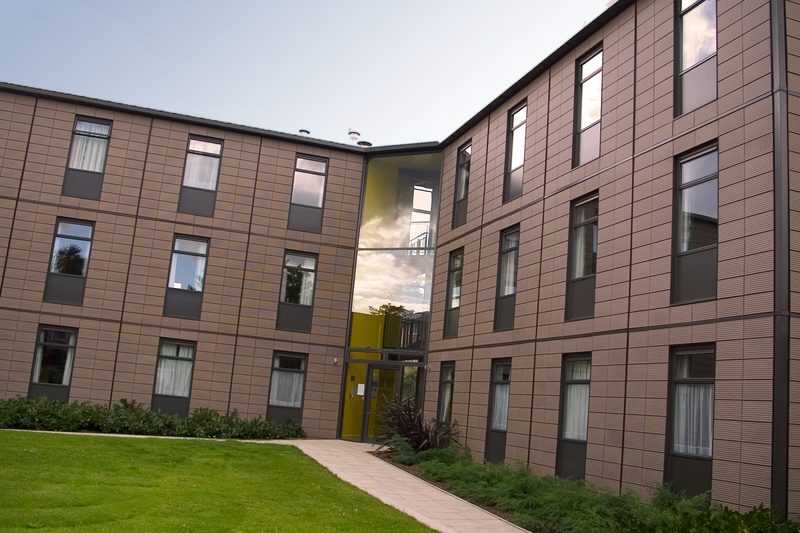 Each student residence block offers 972m2 of living accommodation, consisting of 46 study bedrooms, two tutor flats and three kitchenettes. There are 20 bedrooms per floor, each offering 13.5m2 of living space; each steel frame module provides two bedrooms with a corridor in between.